In addition to neighborhood team activities, there are many different ways to connect with our neighbors and build a stronger community. If you participate in one of these programs, please share your experiences. Austin Humane Society needs people to socialize cats and dogs to prepare them for adoption. 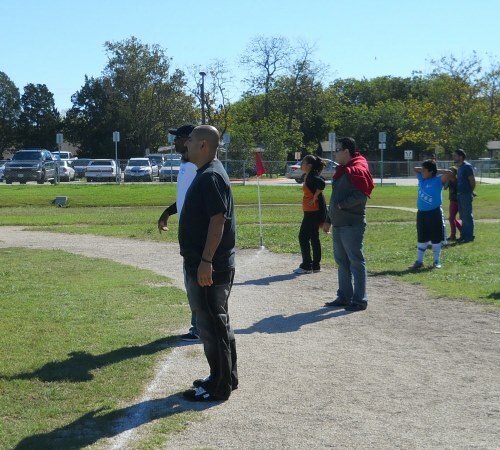 Soccer youth coaches, contact Tiera Johnson Tiera.Johnson@austinymca.org or 512-973-9622 at the North Austin Community Center (YMCA). Training provided. Meals on Wheels uses volunteers to deliver meals and other services to homebound neighbors from their site at 601 W. Braker. Austin Partners in Education (APIE) has volunteer openings at Barrington and Walnut Creek Elementaries, as well as our middle and high schools. Assist in a classroom, help chaperone a field trip, or have lunch with a student once a week. Training and support provided. Recommendation 19 Access various resources that support property maintenance. Objective Q.10: Acknowledge the cultural diversity of North Lamar/Georgian Acres. Recommendation 24 Consider the continuation or expansion of … language-based adult educational classes. Recommendation 27 Explore additional opportunities for recreation. Objective Q.14: Improve the availability of healthy and nutritional food options.